By networking everyday objects, the Internet of Things turns them into smart devices that – if regulated correctly – can help deliver significant benefits to many industries and society at large. Semiconductor specialist Qualcomm has taken an integrated and interoperable approach when developing its offerings in IoT. By developing advanced chipsets and modules to bring various IoT use cases to life, it is building a comprehensive, cross-sector suite of IoT solutions that help companies and users overcome some of the largest challenges on interoperability and integration. Qualcomm Life, for instance, is an end-to-end, open and device-agnostic healthcare platform that integrates healthcare devices, stores and communicates health information, and provides remote monitoring. Connected and interoperable devices are likely to contribute more than 5% of the cumulative electricity industry profits over the next 10 years. Profits foregone from lower consumption would be offset by higher savings, for a combined value addition of $18 billion for the industry. Increased adoption of smart meters by residential and industrial customers could add a further $55 billion. In hotels, ecosystems of connected devices and better security algorithms could lead to a 10% improvement in security workforce productivity – equivalent to annual cost savings of $0.7 billion in 2025. The integration of IoT technologies into hotels will also reduce maintenance and utility costs, and improve workforce productivity, driving annual savings of $4 billion by 2025. The wider societal implications from IoT will also be significant. Adoption of IoT services across automotive, home energy management and logistics fleet management alone could lead to 26 million tonnes of avoided CO2 emissions over the coming decade. IoT is also likely to be a key creator of new job roles. We estimate that more than 400,000 new jobs will be required across the telecom industry to support new revenue streams arising from IoT services. According to an Accenture survey, 83% of CEOs interviewed strongly agreed that trust is the cornerstone of the digital economy.¹⁴ A study by telecommunications company Orange found that 67% of European consumers surveyed believe that organizations benefit the most from using their personal data. Only 6% identify themselves as the main beneficiary.¹⁵ Once companies gain ‘digital’ trust, they can better leverage business and technology opportunities relating to IoT or new and data-driven business models. As IoT grows, it will need unified regulatory mechanisms. Today, those are covered by more than a dozen separate federal agencies in the United States (e.g. the FDA, the National Highway Traffic Safety Administration and many more). As industry boundaries become blurred, IoT will touch many different industries across every sector of the economy. However, the jurisdictional issues relating to it are not yet solved and, without greater coordination, they threaten the continued deployment of this technology and the benefits it can deliver. 1 Evans, Dave, The Internet of Things: How the next evolution of the internet is changing everything, Cisco, 2011. 2 Accenture, Digital Trust in the IoT Era, 2015. 3 World Economic Forum and Accenture, Digital Transformation of Industries: Telecommunications, 2016. 4 Accenture, The digital transformation of the automotive sector: From manufacturers to providers of mobility, page 9, “Connected vehicle”. 5 Rivington, James, “Jaguar Land Rover reveals ‘self-learning intelligent cars of the future’”, Tech Radar, 9 July 2014. 6 IDC, Worldwide Wearables Market Forecast to Reach 45.7 Million Units Shipped in 2015 and 126.1 Million Units in 2019, According to IDC [Press Release], 30 March 2015. 7 Accenture, Patient Engagement: How the Colossal Clash Will Disrupt the Digital Health Landscape [Infographic]. 8 Accenture, Digital Health Solutions Expected to Save U.S. Healthcare System More Than $100 Billion Over Next Four Years, Accenture Finds [Press release], 4 June 2015. 9 Livongo, “Program Overview”, 2015. 10 Alphabet Investor Relations, Google to Acquire Nest [Press release], 13 January 2014. 11 Fjord and Accenture, The Era of Living Services, 2015. 12 CytexOne, CytexOne Connects Internet of Things for Hospitality Industry [Press release],” BusinessWire, 21 July 2015. 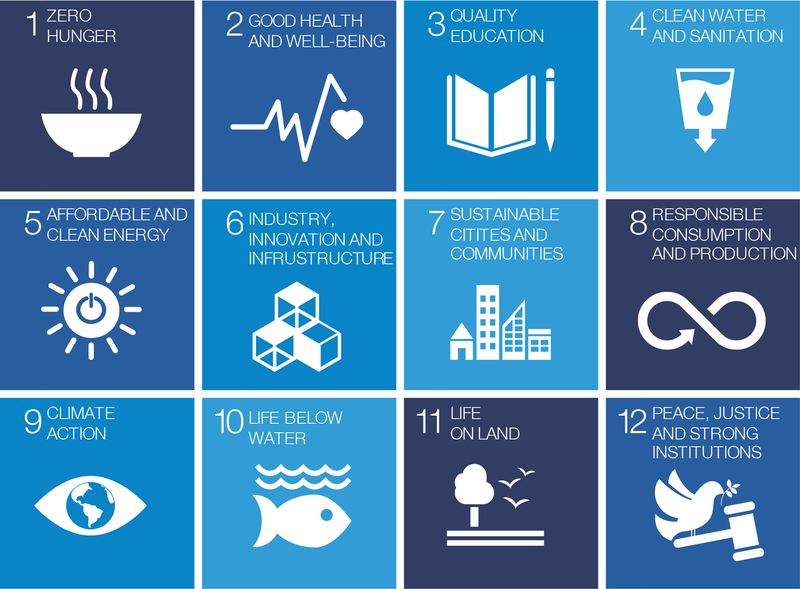 13 GeSI, Accenture Strategy, #SystemTransformation: How Digital Solutions will Drive Progress Towards the Sustainable Development Goals, 2016. 14 Accenture, Technology Vision 2016. 15 Orange, “The Future of Digital Trust,” September 2014.